Timothy Tordoff grew up in Pietermaritzburg, Natal Provence, South Africa fell in love with horses and horse-shoeing in his twenties. He became involved with training and competing with driving horses, a passion which he continues today. 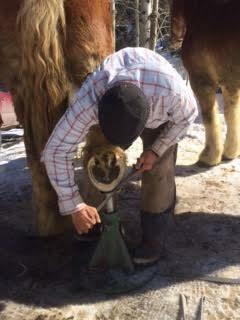 After marrying and having his third child Tim decided to pursue his horse-shoeing career and he flew to the United States to attend The Kentucky Shoeing School, in Lexington, KY. There he met a man who had recently been enlisted in the army. After forming a close friendship, he asked Tim to take over his clients in Silt, Colorado when he left. 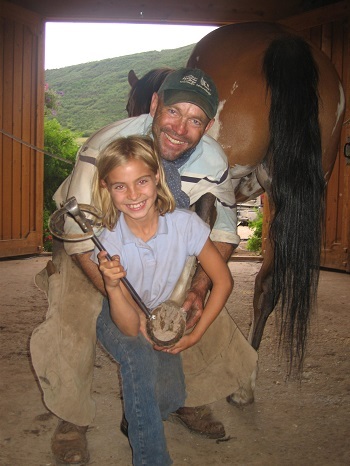 Once in Colorado, he met Holly McLain at Moon Run Ranch in Snowmass, CO. With the help and support of Holly McLain's sponsorship, Tim moved his family, wife Jo, and daughter Emma to America. They began their new life in the Roaring Fork Valley building a clientele, including shoeing horses of all disciplines including hunters, jumpers, draft, polo, reiners, and corrective shoeing prescribed by the local veterinarians. He and his family began the long journey of apply for citizenship. 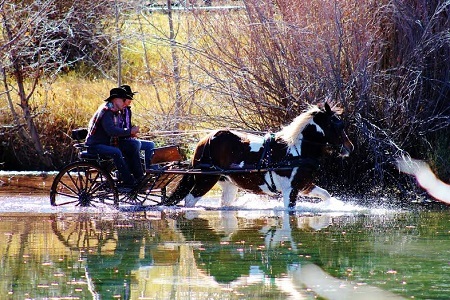 Tim eventually settled in the beautiful town of Basalt, where he has lived since 2003, driving horses and shoeing horses with his daughter Emma and beloved Rack Russell Terrier, Mickey.